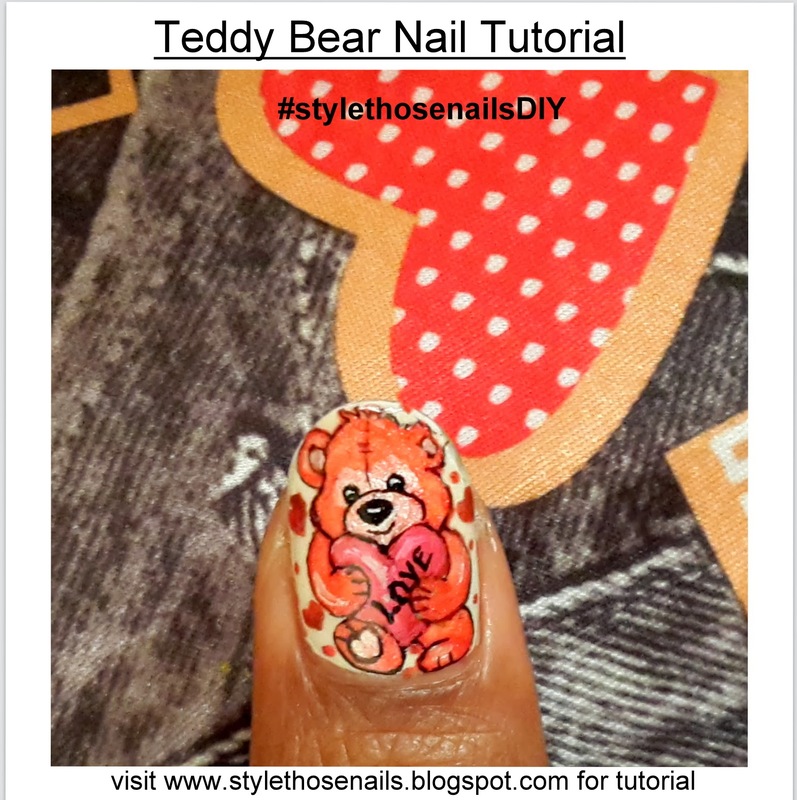 In my previous post I shared my nail art for Teddy Day. 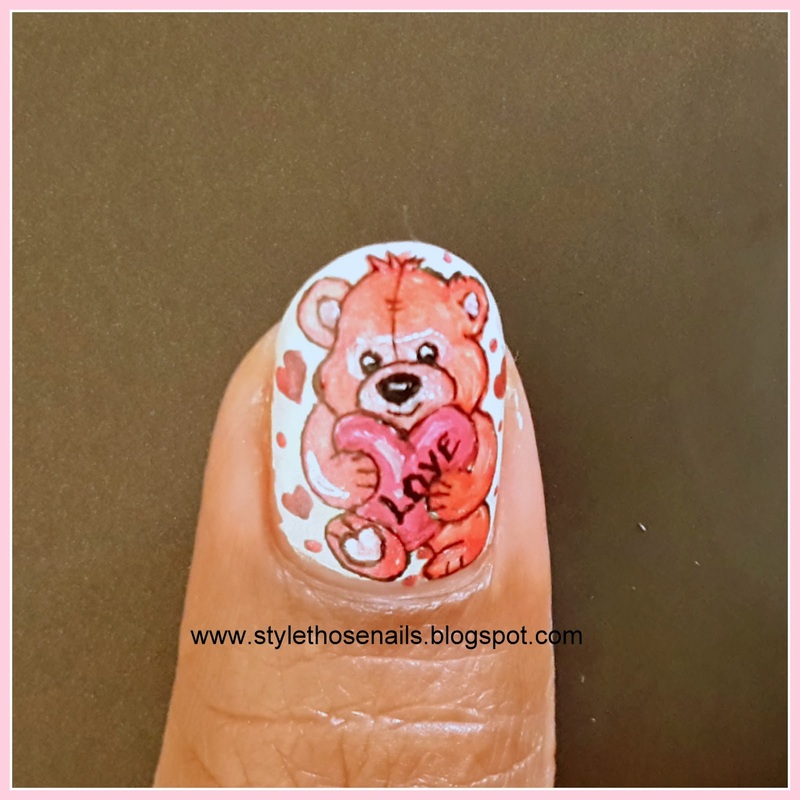 Here I am going to share how I created teddy bear on my thumb nail. 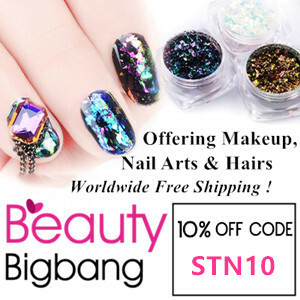 You can see full manicure HERE. 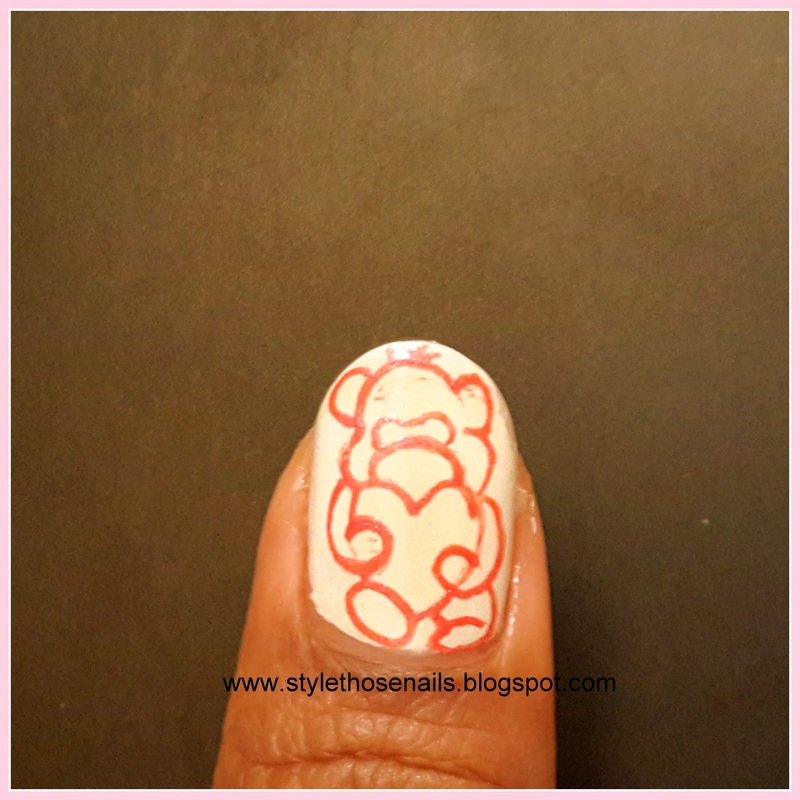 1- Start with a thin paint and brush and draw a rough outline. I used a picture from google as my base. 2- Once you are happy darken the outline and fill colors.To make mouth, ears and eye area use a lighter shade then body color. 3- Next outline with a very thin black color and a fine brush. Add all the details like nose and eyes etc. 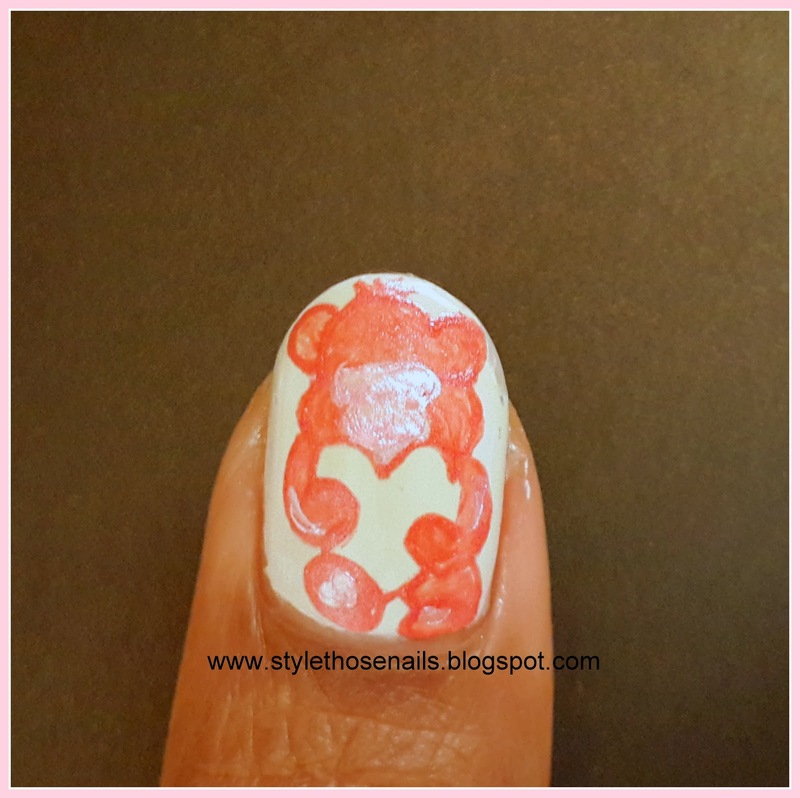 4- Highlight some parts with white color and write LOVE on the heart if you wish to. 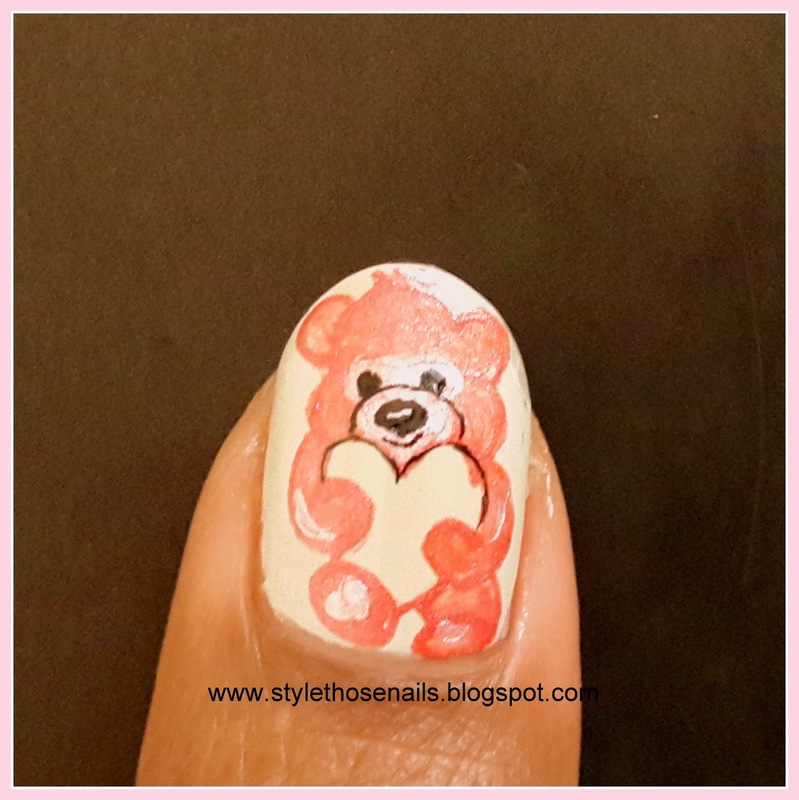 5- Lastly don't forget to apply at-least 2 coats of top coat and you are done !! Note: If you are not sure first practice on a piece of paper. 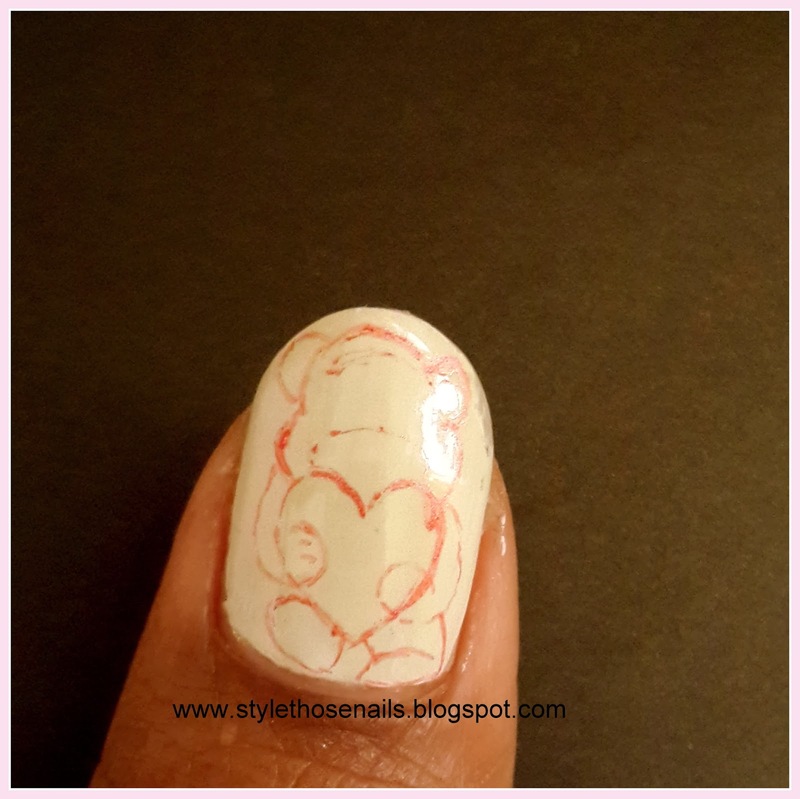 Draw a nail of your size and draw so you get the idea !! Hope it helps. start adding colors- looks like monkey here lol but will fix it! Start making outline and add nose eyes and mouth ! some more detailing, couple of hearts and dots and some shading !